The situation made modernized even for the search of property to rent, buy or sell process which replaces the traditional methodology of seeking the land that sometimes will not satisfy us with its outlook or not bring accomplish to our convenient by done manual search only nearby known persons so we make the way of search in a simple manner can get the details of property from list of options which is from various locations and searching based on filters. Surely this will be the great opportunity for the real estate business making persons can use this chance to grow up in their field with colliding with other real estate agents. 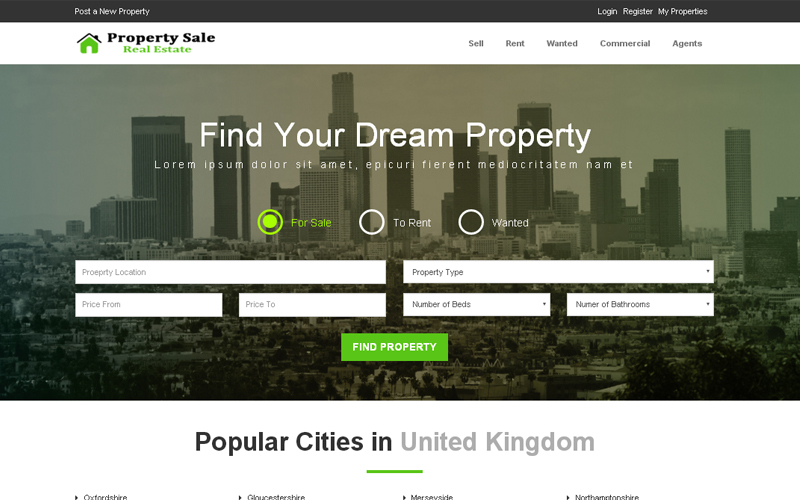 Our smart professionally designed Property Rental Script is the best theme concept to organize and publish the properties in the site that will reach the end user effectively by responsive front-end layouts and friendly users interactive process, management of property posted in the site. For the easy find of property integrated Google map which will be helpful to you for the tracking of property. Through the admin panel can easily access the submissions of add, edit or delete the properties. In this Open Source Airbnb Clone Script, a user can access once register with the system then start a search by on the property type, purpose of use, a budget of price, an area where the land is to be present and search by keywords for an easy access. For a quick search in home page, there is a detail of specified country’s cities based property and latest properties with agents details. The user also can change as an agent and post the property on the site to view. Users and agents can get the contact help support from the admin through the simple UI form. Admin management is the prior control throughout the system and authorizes monitor the site statistics. Admin dashboard has the control power module of content management, location city, and country management, payment plans such as gold, silver or platinum etc.., through the customization can do multiple languages and payment support, and social media link integration. We developed Holiday Property Rental Script based on premium support provides high-level responsive browsing experience to the users. Enabled with SEO friendly engaging solution those make you publish behind the screen. We are offering the wide period of services in our brand free product to you for the enhancement of your business in the right path with 1 year of tech support and 6-month free update. Great script! Really happy with it! But also great support! If you need a vacation rental script, it is the way to go! Vacation rental script is one of the best, really good quality and easy to work with, also I recommend you get additional support since anything you can always reach the support script and the will help you very fast.